It's one of those days you're feeling down and low. Someone want to share a hug or smile just let them know. 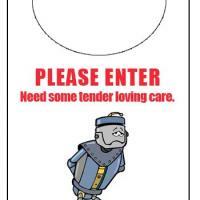 Print and hang this door knob hanger on your door.